The next finished quilt. A quick one to give myself a breather from intricate quilting for a day. Now I have to finish the binding on this one and the two others that go with it before I can call the owner. I used the Circle Lord fan template on it. I have the next top on the machine. I worked a couple of hours on it this morning before getting on the computer. 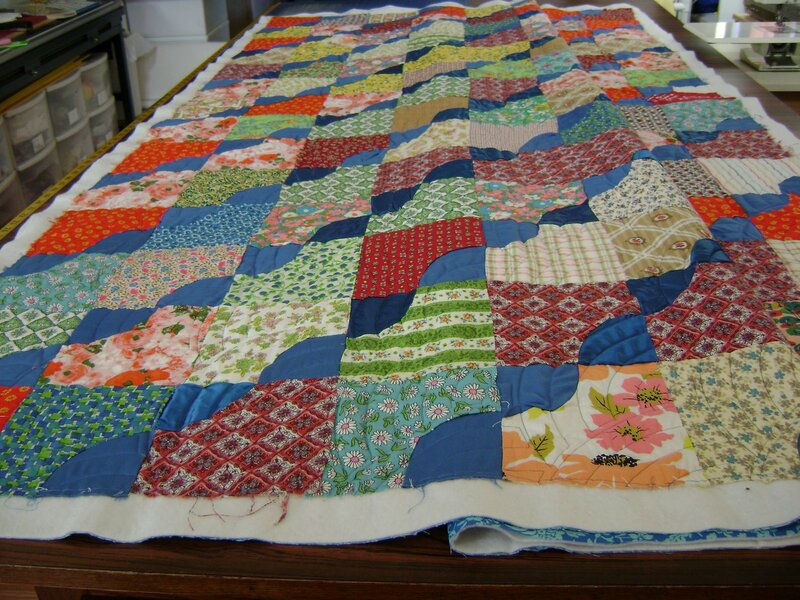 It’s also going to be one of those 3 or 4 day quilts with lots of detail work. I believe I can cut that down to two days if I work longer hours. I’ll see how it goes. The one I posted about yesterday is also one of a group of three. Customers often bring me multiple tops. I’ll be headed out to vote about mid-morning. I’m waiting so that those who have to be at work on time can be the first in line. The voting place is right behind my house so it’s not a very long walk. Thankfully today will be the end of the constant political phone calls. Working on the easy quilt yesterday worked out just right for me. My sister in law decided to come over for the day and work on her quilt tops. It’s hard to concentrate on intricate quilting when she is here. 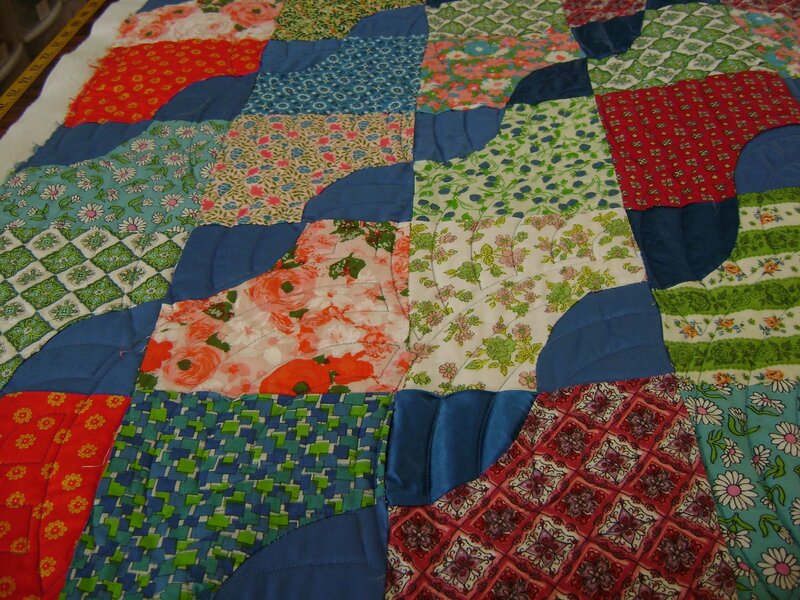 This entry was posted on November 4, 2008 by Anita in Circle Lord quilting, QUILTS - CUSTOMER.